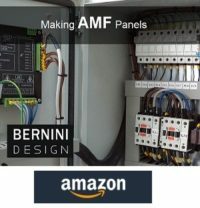 BERNINI DESIGN WORLD CLASS AMF & ATS PANELS MANUFACTURER. In this page you will find the price list of generator control panel based on BE22, BE142 and BEK3 controllers. If you are looking for Automatic Transfer Switch price list open the link below, otherwise continue browsing this page. Prices do include VAT. If you are a 'COMPANY' and the final destination of the panel is within the European community we have to deduct 22%VAT. The prices DO include the freight to EU only. You have to separately pay for non-EU. The Be22-based generator control panel is suitable for light industry applications, residential buildings in the range 15 up to 160kVA. It is a cost effective solution for general purpose applications. 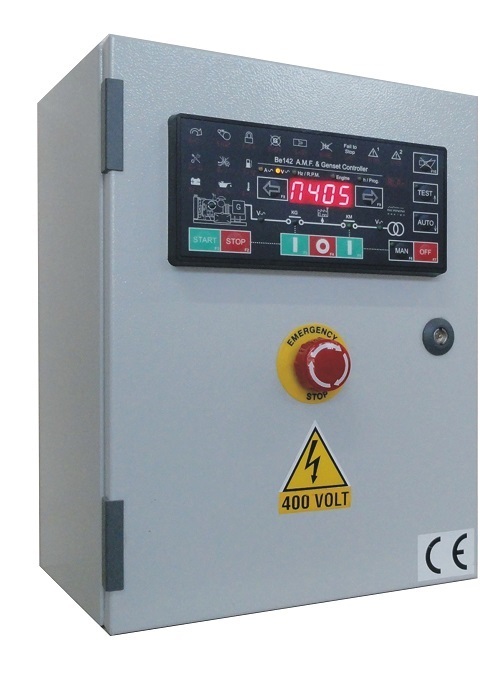 The Be22 generator control panel includes, in a metal IP62 cabinet, the controller, the automatic battery charger, two contactors, terminal blocks, ancillary electronic boards and accessories. These generator control panels are suitable for general purpose applications in the range 15 up tp 160kVA. 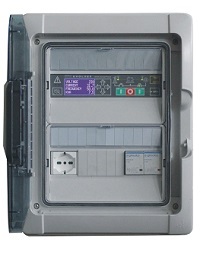 The controller offers remote control monitoring via RS485. It interfaces with analog sensors providing accurate engine instruments on display (oil pressure, temperature & fuel). 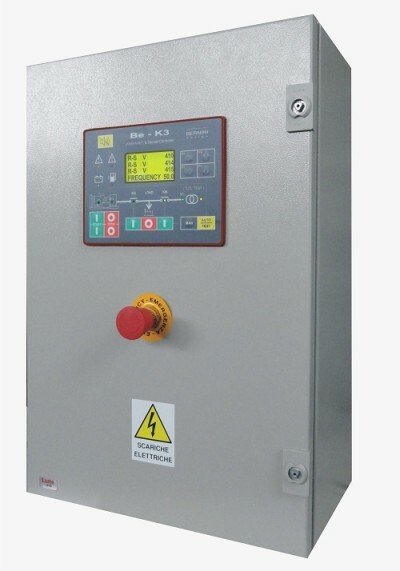 The Be142 features configurable I/O suitable for miscellaneous applications. These generator panels, equipped with EVOLVE controller, are suitable for home backup generators. You can use any style of generator, dieel, gas or gasoline. The EVOLVE panel offers superior performances when it is about home standby generator applications. The generator panels can be supplied with embedded SMS decoderthat will allow you remote control monitoring via GSM. The BeK3 is designed for industrial AMF applications. The controller supports SAEJ1939 compatible engines. Learn how to make a generator control panel. The book describes the schematics and the basic principles. The guide includes step-by-step examples in making a 60kVA generator control panel.